During the last boom period in mining, major projects routinely went over budget and fell behind schedule. An analysis by McKinsey & Co. of public information on 35 mining projects built between 2002 and 2015 showed that 30 were over budget and 27 saw significant delays. As commodity prices start to recover from a several-year slump and the industry starts to build again, a new report aims to help companies improve that record. Entitled “Avoiding the mistakes of the past: A CEO’s checklist in a commodity upswing,” the report describes how a disconnect between miners and the contractors they hire to build new projects has contributed to the industry’s poor performance, and also details nine recommendations for mining companies. CMJ recently spoke with Piotr Pikul, one of the report’s authors and a partner in McKinsey’s Toronto office, about the report’s findings and how companies can work more effectively with contractors. 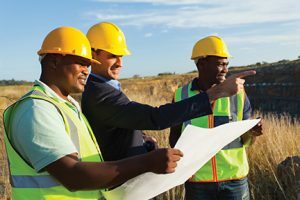 CMJ: The report noted that owners and contractors are not on the same page when it comes to pinpointing why projects went over budget in the last cycle or took longer than expected. Why do you think there’s a disconnect there? Piotr Pikul: The reason why the contractors and owners are not aligned is, we believe, based on what I would call the adversarial relationship between them. This is most often due to the way the contracts are set up, there’s a big push – partly by the people who finance contracts – to have contracts that are lump sum contracts. This can create tension between the owner and the contractor because the price is agreed up front, they have different financial incentives, and there is a challenge in the misalignment of risk and responsibilities related to the project. I always say that in mining, the owner always pays. If you have a bad storm on your mine site, the owner pays. If you have a strike, the owner tends to pay. If your contractor performs poorly, you end up paying, one way or the other. So it’s a bit of a fallacy when owners try to transfer the risk to contractors. Because at the end of the day on these major projects, the typical way people do this in the contracts is they have this term “liquidated damages”, so there’s liquidated damages you can get from the contractor if they underperform. On a $2-billion project, if you overrun by half a billion, liquidated damages will never cover half a billion – that’s the case on all these major mining projects. So I think the reason why they are not on the same page is they are trying to optimize different things. For example, we have seen some instances when contractors bid for a project, they may believe there is a big incentive to underbid to win out in a competitive process. But in these cases, they often then rely on change orders and claims to make a profit. So right here you see a big disconnect. CMJ: Your report makes several recommendations for mining companies that you believe will lead to better project outcomes when they start building new mines again. The first recommendation is to pay greater attention to the art of project leadership. Can you explain what that means? PP: Essentially, the big focus of all capital projects in mining is on what I call the science of project management: so what are the systems, what are the processes, what are the standards you need to have? And obviously all these are super important, however, what we’ve noticed is that there are a number of soft factors which are the mindset of the team, the attitudes, the organizational culture – that are often key to success. To give you an example, at a project I was recently involved with in the Americas, it seemed like the project had the science in place – the system, processing, standards were in fairly good shape. But when we looked at the culture of the team, it was very misaligned, suboptimal, and as a result the decision making was poor, their ability to practically manage performance, to read the warning signals and intervene was very suboptimal and that’s why the project suffered. So what we call the art of project leadership are these soft factors that we believe are one of the key enablers of these large capital projects. CMJ: One of the themes that runs through several recommendations is an emphasis on collaboration and getting everyone on the same page, pulling in the same direction. Can you speak to how companies can do that when they’re working with not just their own employees, but also all these different contractors on a very large complex project? PP: I think there are a couple ways. One is a contractual way – I mentioned adversarial contracting. We believe that there is potential in mining to have more integrated contracting – contracts where everyone’s incentives are aligned and everybody’s pulling in the same direction, and actually people have an incentive to help – one contractor helping another contractor because that’s how the incentive system is designed. This is not very common in this industry at all, but The second angle is I think there’s a lot you can do even in the current environment by just taking a one-team approach – a one team mindset. I worked recently with a distressed South American mining project that had a significant budget overrun. They figured out a way to get everybody on board by saying ‘Look, we are struggling. If we continue like this, the project will not be finished, you won’t get paid, you will lose your jobs, so we need to do things differently.’ They moved to a system where they had daily meetings of everybody on the construction side – key contractors and owners, and focused on joint identification of root causes of problems and figuring out how they can solve them. And at least on this project, after this initial overrun and being distressed, they stabilized the project and were able to finish it. Overall, they still went over budget, but it was much better than it had looked before. CMJ: Are there other industries that mining executives can learn from? PP: I’ve been focused most on natural resources, so looking outside of mining – in oil and gas, chemicals, energy, utilities – I have not really seen much better examples of this. But I think people should have their eyes open on innovation all the time. This example of integrated contracting comes from the U.S. in the context of healthcare – building a hospital, where one of the owners experimented with an integrated contract. That’s a little bit smaller than a typical mining project, but I think people should look across industries. In mining, there’s a bit of a fallacy – miners always say that mining is different. Obviously, they have a point, but I think they sometimes miss out on learning from others. CMJ: In Toronto, we’ve been reading in the news about issues between the provincial transit agency Metrolinx and their contractors – so it’s something that not only the mining industry is struggling with. PP: You’re right. We have a report we did last year on the construction industry globally and one of the big takeaways is it’s an industry that has suffered with really poor productivity growth. In places like the U.S., productivity in construction is actually lower today than 20 years ago – which is mind-boggling, right? Because in every other sector of the economy, productivity’s actually increasing – the whole digital revolution is helping. Manufacturing has been growing productivity globally at 3.6% a year. So when we talk about these overruns, it’s obviously big news on a big mining project but go talk to any of your neighbours who are trying to renovate their house or build a house – it’s the same story. So it’s an industry that’s notorious for this and I think there’s a linkage to the second recommendation in our report – treat productivity like you treat safety. If you think about safety in mining, this is an industry where for decades there was an abysmal record. Then at some point, the mining companies got their act together and said ‘this cannot continue.’ Safety in mining today is at a much higher level and there’s a safety culture – people start their meetings with a safety moment and it’s fantastic. Why not do something similar for productivity? Why not have a productivity moment when you start a meeting where you talk about how you can reduce waste and improve performance on the construction side? Why not have competitions where people come up with productivity ideas and are focused on value? To me, it’s most important in mining because in mining projects, you have two industries with really poor productivity performance. Mining productivity performance has been poor – it’s improved a little bit lately as commodity prices went down – but in the whole boom from 2000 to 2012, productivity was lower year by year. CMJ: It sounds a little bleak when you put it that way – when you’re talking about combining two industries that have such poor productivity track records. PP: It shows that there’s potential to improve. CMJ: That was my next question. In the surveys that you’ve done, companies and contractors have shared some examples of innovative practices that they’ve employed that made a positive difference in project outcomes – can you share a couple of examples? PP: Sure, one example would be on a remote mine site in the desert in South America, a huge project with 10,000 people on site at peak construction from lots of different contractors, different nationalities, different cultures, different languages. In this case, they instituted a one-team approach and got all those people solving issues together. Another example has to do with project optimization and project value improvement. Most often what I see is that people treating this as a one-off exercise before the financing decision. Before they sanction a project they say, let’s take a quick look and see if there’s any optimization potential. In reality, the best practice is you look continually at this. In operations people talk about continuous improvement – but you don’t hear that in project development. Why wouldn’t you have continuous project value improvement from the early concept stage of a mining project through the scoping study, prefeasibility and feasibility – at every stage, have that value element and constant optimization? There are tools that allow you to do this to get to what the optimal project is. For example, one of the methodologies we use is something called a minimal technical solution and it sounds daunting to many clients because they say, ‘Oh my God, you want to cut my project to the bone, to the minimum and I don’t like that.’ But it’s just a methodology to identify what functionality you’re trying to get, what is the minimum you need to build to get that and then what are the different add-ons that you can build on top of that with different trade-offs? That way, you’re able to identify the optimal solution, for instance, in design. The problem is most projects start with some over engineered, customized way of building, let’s say a processing facility and then people come in to value engineer and they just look at incrementally, let me try to cut 5-to-10%. Why 5-to-10%? Because those are round numbers and it sounds like it’s the right direction. But after let’s say they’ve optimized capex by 10%, do they have an optimal project? They have no clue because they don’t know where they started, they don’t know where they finished. And in fact they may have cut too much or typically too little. So that’s another example of looking at this value improvement throughout. The last one I wouldn’t forget is procurement practices. In the last half a decade, there’s been a lot of progress in mining companies reducing their external spend in operations because they’ve been quite vigilant in understanding the economics of their suppliers, looking at alternative suppliers, actually having proper processes. But this does not seem to have translated to capital projects. In some examples I’ve seen in capital projects where people employ those procurement effectiveness tools for operations, you can get pretty high savings. At one underground mine recently, they had an over 10% reduction in pricing for major tunnelling equipment by employing what’s pretty common in the industry toolkit in procurement but historically hasn’t been done in capital projects. Historically, they would sole-source from one supplier because they believe that they’re the best and not really focus on the cost as much. CMJ: Can you think of any mining companies that already do a lot of the things that you’re advocating? PP: It’s hard to pinpoint specific companies – there are a number of players that do some elements. I think the reality is also that quite a number of companies were building new mines in the 2000-12 period. And then in 2013, they largely stopped because of the commodity downturn. So only right now in the last year or so, they are restarting projects, looking at them again. Thus one of the challenges is it’s very easy for mining companies to lose that project building, project construction DNA. Because unlike operations, you don’t build projects all the time. You have your major project and then you’re done. People may move on and so forth, so it’s quite hard to keep that. In an ideal world, the smart thing to do is to build when commodity prices are low. But even some of the largest mining houses in the world that maybe talked about being counter-cyclical, when prices went down in 2013-14, they stopped. Basically they put the shovels away. I feel like what we have in our report, this checklist is a useful tool for executives because they can look at this and say, ‘Let’s make this the DNA of our company.’ Because markets are not forgiving and when projects go south, often it’s the CEOs that are let go and it’s sad because they’ve been frankly I think sometimes misled by other people on their team saying ‘the project is fine.’ CEOs are typically not experts in these capital projects, but this is the easiest way to get fired if a mining project goes sideways. CMJ: Are there any last words of advice you want to leave us with? PP: People in the software industry talk about working in an agile way – it’s a buzzword obviously, but what it means in software app development is people co-locate, working very closely together with lots of feedback and short iterations. They produce a minimal viable product, which is an application, in a couple of weeks and they iterate and make it better and better. And this is in contrast to the traditional way that software is done which is a waterfall approach – long timelines and I’ll show you stuff when it’s done and then you comment. I would argue that another innovative way to think about mining projects is to consider an agile approach, because mining projects are very siloed – the engineers are working separately and then they share when they are done. So in value improvement, for example, why can’t you have a small team that’s co-located and consists of the owners, different contractors, people from operations working together and breaking the silos, coming up with these sprints over a couple of weeks, actually coming up with a solution that you then refine? I think the industry would really benefit from something like this, both for making sure the design is more appropriate, more optimal, and then the execution productivity challenges are covered. Read the full report at www.mckinsey.com/industries/capital-projectsand- infrastructure/our-insights/avoiding-mistakes-of-the-past-a-ceoschecklist- in-a-commodity-upswing.